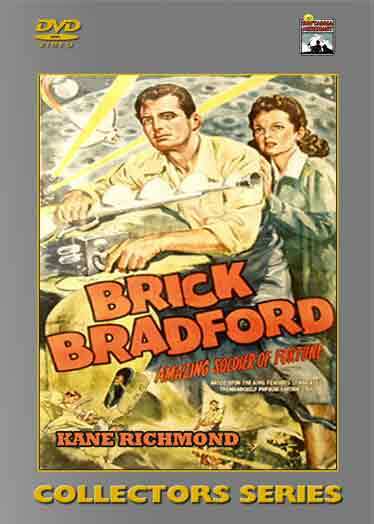 Brick Bradford is assigned by the government to aid Doctor Gregor Tymak, scientist and inventor who is working on an ‘Interceptor Ray’ that can destroy incoming rockets. Unfortunately, it can also be used as a death ray, bringing it to the attention of a foreign spy. Starring Kane Richmond, Rick Vallin, and Linda Leighton. 2 DVD Set – 15 Chapters – 1947.